Can I do my work if I’m not online? Yes! You can work offline if you have an iOS or Android mobile device. We have a free app that is available for most of our webtexts. You can use the app to read and complete your work offline, and it will sync to the web once you’re online again. 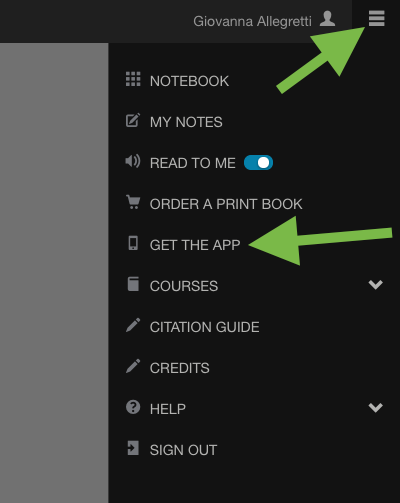 To download the app, click the Tools button in the upper right corner of your webtext and then click “Get the App” (you will not see this option if you are in a free trial). Follow the instructions to sign in to the app. Our app is currently only available for iOS and Android mobile devices. You cannot download your webtext to a computer for offline use.